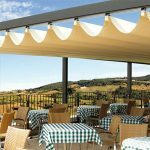 The terrace awnings SOLLO and CASCADE are specifically designed to provide shade and overhead cover to your house outdoor space. For the restaurants, stylish solar terrace shading can attract customers and will add remarkable appeal to your place. We provide installation through Toronto and GTA. 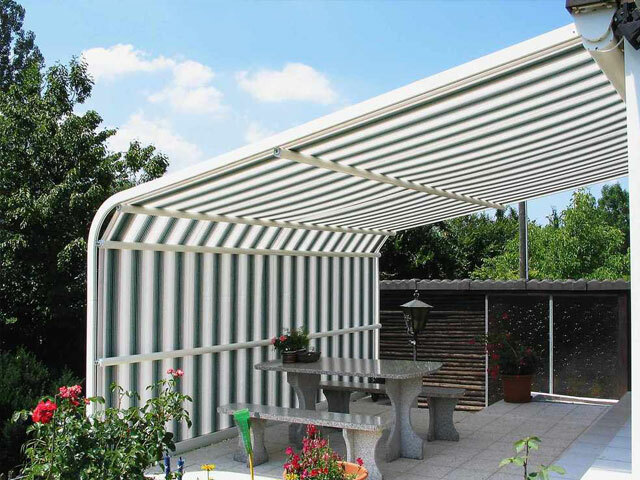 Outdoor shading system CASCADE ideal for sun protection and creating a comfortable space for commercial and residential areas. 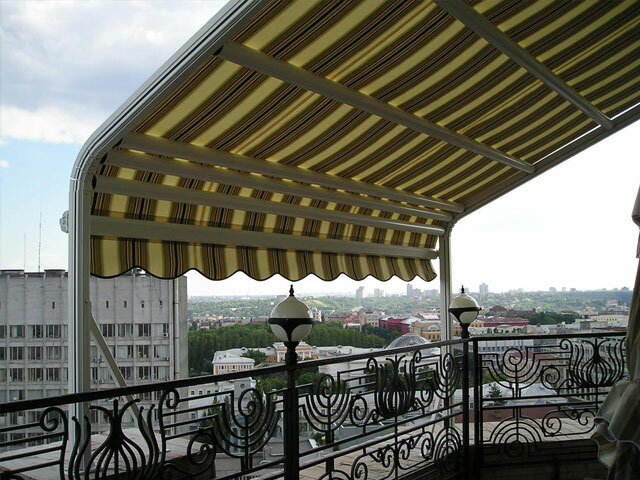 It is often used as a gazebo or canopy attached to the facade in a private house. 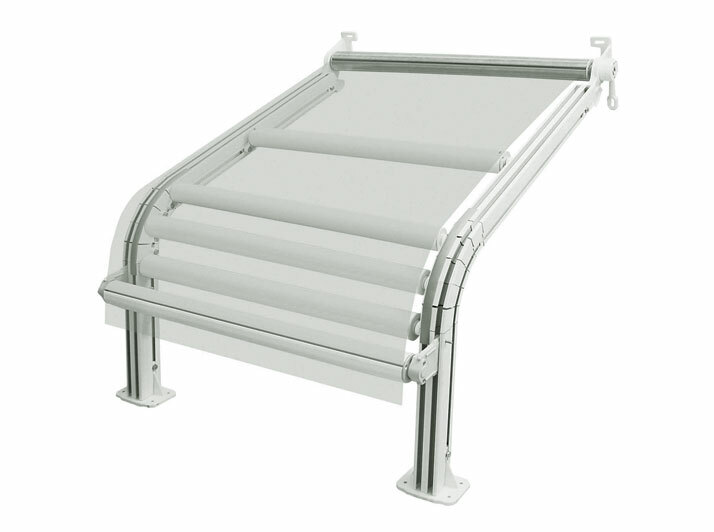 The racks of the structure are attached to the ground or to the railing with additional spacers added. When installing the structures one by one, gap can be closed with a lid. You can build any number of units side by side. The minimum structure angle should be 20 degrees. Special acrylic fabric, waterproofed, does not fading, does not stretch, mold resistant. 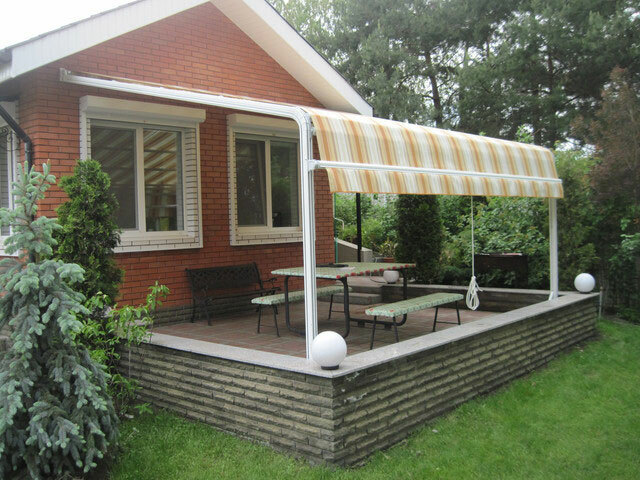 The valance also produced from the same fabric, the size and shape of it can be customized. 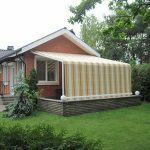 Whether to identify an entry, protect or embellish a facade, choosing an awning offers many benefits and unlimited opportunities. The terrace system coordinates with the existing architecture and is offered in a wide range of styles and designs. 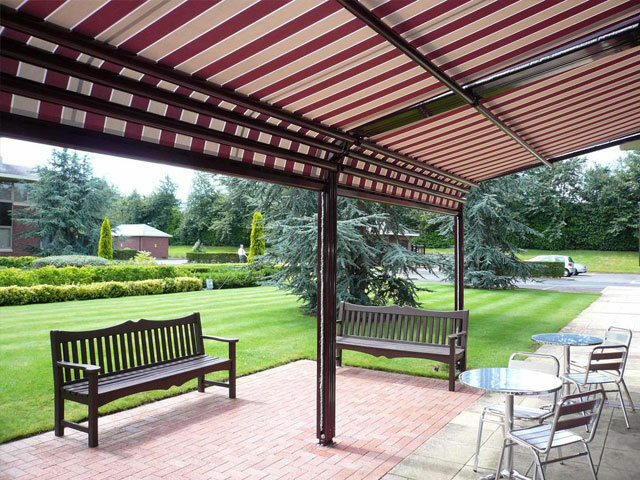 It can be located over patio or decking areas and are ideal shading solutions for commercial and residential properties.